Unlike many other oils – such as olive oil or sesame oil, for example – truffle oil is not made from the product for which it is named. Instead, this intensely scented oil is olive oil infused with either black or white truffles. Its earthy, vaguely mushroom-like flavor is indescribable and unforgettable. 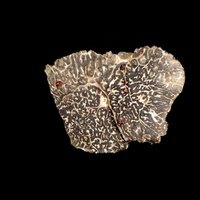 Unfortunately for those who enjoy it, truffle oil can lose its distinctive flavor and aroma within a few months if not stored properly. Drizzle it over dishes as a final touch to take advantage of its flavor. Close the bottle of truffle oil tightly. Depending on the type of bottle, this might involve screwing the lid into place or simply pushing a cork firmly into the bottle. Place the closed bottle of truffle oil into a cool, dark place. Ideally, this should be the refrigerator – but if yours is too full, keep the truffle oil in a cellar or a cupboard that stays dark and relatively cold. This will help preserve the flavor. Use the truffle oil within three months after opening it, or six months of purchasing it if you have not yet opened it. If your truffle oil is not in an airtight glass container, transfer it into one before storing it.